파리, 프랑스의 그랜드 호텔 클리시 | 호스텔월드에서 예약하세요. Cancellation policy: 48 hours. 100% of the total amount due is required. The following group types are not accepted by this hostel: Junior / Primary School, High / Secondary School, College / University, Sports Group If you have misrepresented the type of group you are booking for, your booking may be cancelled by the hostel." The hotel offers 2 twin rooms. The Grand Hôtel Clichy Paris is a design hotel located in the heart of Clichy, a 3-minute walk from the Courthouse of Paris Batignolles. The building, constructed with ashlar that dates back to the 19th century, is classified as one of the city’s historical monuments. 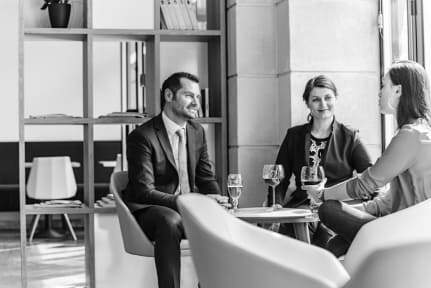 You can relax with a drink in the hotel bar and the multilingual staff at the Grand Hôtel Clichy Paris will be happy to help with any requests you may have during your stay. This property is also rated for the best value in Clichy! Guests are getting more for their money when compared to other properties in this city. Its location permits easy access to the public transport systems that will take you to the Eiffel Tower (around 30 minutes by subway), the Champs Elysées Avenue (around 20 minutes by subway) or the Galeries Lafayette Shopping Centre. A private parking is available in close proximity to the hotel. 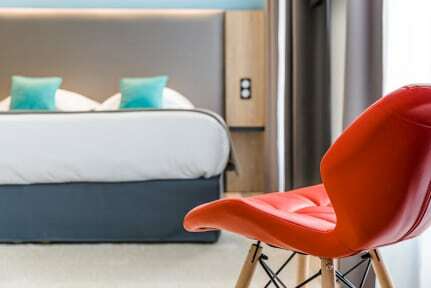 Grand Hôtel Clichy Paris offers stylish and comfortable private rooms. The rooms are all soundproof and equipped free unlimited WiFi, individual air conditioning, a safety deposit box and a flat-screen TV. The building is serviced by a lift. Breakfast not included. Extra-cost: 12 euros per person per day.